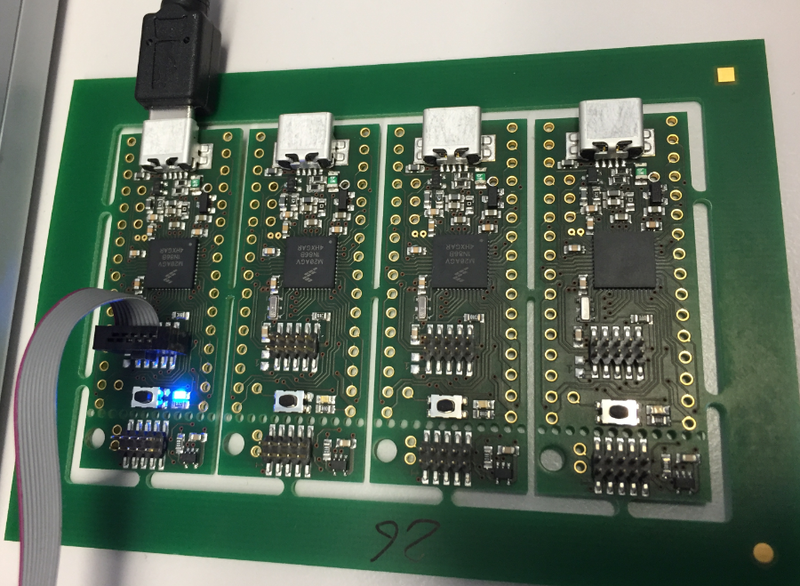 On the board there are footprints for optional micro-SD card, 32kHz clock and DC-DC converter. On option is to place the 32kHz clock source on the top side. Additionally a larger C can be populated if an extra DC-DC converter is added on the back. We will work on the initial set of documentation for the students so they can sucessfully use the boards in their next projects. 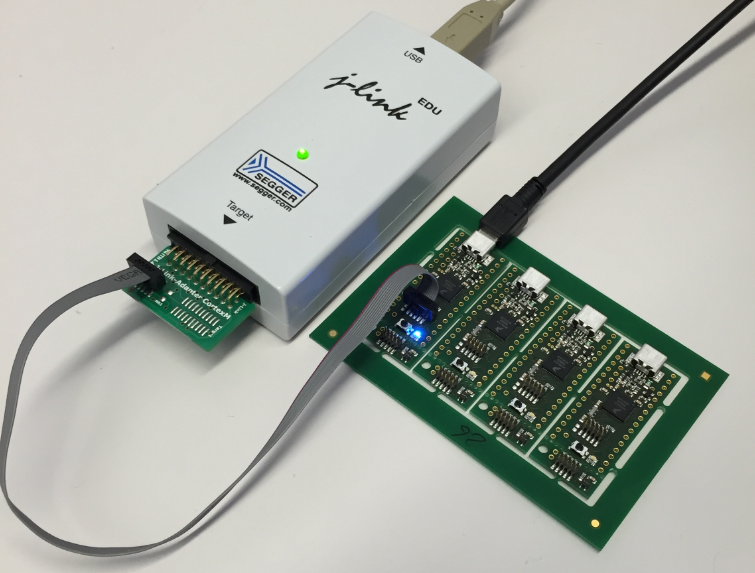 This entry was posted in ARM, CPU's, Embedded, Freescale, Kinetis, TinyK20 and tagged ARM, Freescale, open source projects, tinyK20 by Erich Styger. Bookmark the permalink. Well done! It’s always satisfying to have a new computer come to life for the first time. Do TinyK20 could be the next Arduino like wave ? I don’t know but for me it’s like “Shut up and take my money !” I’ll take all haha :D. With the SD card it could be interesting to test NuttX RTOS. There is definitely a trend for small/tiny/breadboard friendly boards like this. There are several ones on the market e.g. for Atmel boards, but apart of the Teensy which is not usable in my view because you cannot debug it, there is nothign for Freescale devices. Erich, Is the assembled TinyK20 available for purchase? yes, we sell them to students, and we should have a few available. You can contact me under the email address noted on https://mcuoneclipse.com/about/. I’ve seen your work and it’s amazing, thanks for sharing your knowledge with others, and the entire world. Sir, i only have one simple question, where did you make your boards? and where were soldered? We have a laser carver/cutter which we use usually to make the first boards (see https://mcuoneclipse.com/2015/06/17/tinyk20-new-board-with-micro-sd-card/) and to test it. 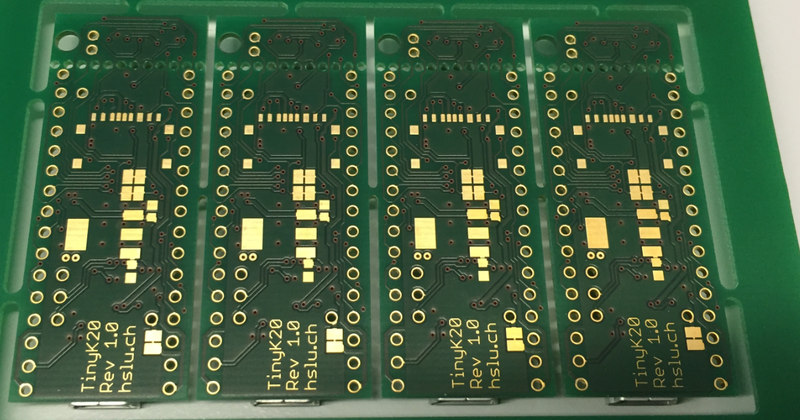 Then usually we produce a few PCBs externally which we then populate with pars in-house. Once everything is working fine, we produce and populate the boards externally (e.g. with PCBPool). Hi Erich. Is there documentation (pdfs, gerbers, schematics, etc) avalaible for the tinyK20 pcb manufacturing.